Now let’s go to Hollywood, and visit Universal Studios where the fun never stops and the excitement continues in this magical place. If you like Shrek a lot, for sure you will enjoy the Shrek’s 4D adventures, it is an amazing place that will sure to make you smile. You can go back to your childhood memories and count one, two and three when you make way for the Sesame Street, or make an exploration and find UFO on the E. T. adventure. Or make a visit at Springfield where The Simpsons are there to your day a laughing out loud day and ride your way down to Terminator 2: 3-D, what an experience might be! But if you want to go back to the Future let us take that ride and let’s go, go, go, back to the future! 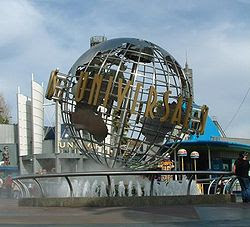 Even though other Universal studios do have in common, the place is still filled with uniqueness and excitement a lot of stuffs out there are maybe not available at the other, but you might as well go shopping and buy some souvenirs that will make u remember the rides you have taken or the specific place you most liked a lot. Happy weekend everyone! Feeling so relax now! No work tomorrow! http://www.thetop10bestwebhosting.com - Find informative reviews and rankings of top online casinos. Copyright © BEST TRAVEL AND TOURS. Designed by Grace. Powered by Blogger.